Streetscape is the term given to the collective appearance of all buildings, footpaths and gardens along a street. The streetscape is the visual identity of a neighbourhood and plays an important role in facilitating interaction between residents and creating a community. 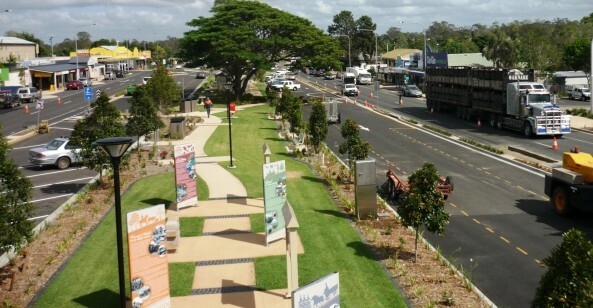 In Queensland the Asset Management Advancement Program identifies streetscapes as one of a number of "depreciating assets of significant value with long estimated useful lives" that need to be incorporated into Asset Management Plans.